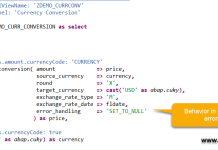 Dear SAPLearners, in this blog post we will learn about View Browser for ABAP Core Data Services(CDS) views in S/4 HANA. First of all when it comes to S/4 HANA implementations projects, a common question among developers is – How to find suitable existing standard CDS views available in the system to match the business requirements? 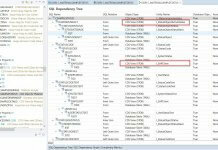 Furthermore, searching for particular CDS views based on field names is also another challenge among S/4 HANA development team. So finally answer to all your questions is in The View Browser fiori app. The View Browser is a tool used to explore ABAP Core Data Services(CDS) views supplied by SAP and custom CDS views created by customers. You can search, browse, tag analytical and non-analytical queries. The View Browser is fiori app available as tile in SAP Fiori Launchpad. Using this new View Browser tool you can explore all types of CDS views: Basic, Composite, Consumption and Extension. The View Browser also shows the total number of CDS views available in the system and also the count of CDS views by different types like shown in the above picture. The View Browser also provide detailed information on definition of the CDS view, the annotations, the associations and cross reference of the selected view. Displays a list of annotation name and values. Displays all the CDS views and tables used by the selected view. You can further navigate to see views or tables by selecting it. In the View Browser it is also possible to tag or mark as favorite CDS views, so they can be easily found and quickly locate views. Like in Query Browser you can also search analytical queries and displays the data preview. The analytical queries are displayed in Design Studio. You must be assigned the PFCG role Analytics Specialist SAP_BR_ANALYTICS_SPECIALIST in SAP S/4 HANA to be able to access the fiori app.